Gastronomic restaurant with two michelin stars. Book the luxury suite for your private terrace and outdoor hot tub with stunning views. In the gorges of Cava d’Ispica and Pantalica. Baroque gems of the area: Scicli, Modica, and Noto. 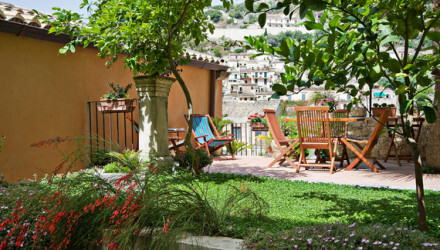 With rooms from as little as €108 per night, it's excellent value. 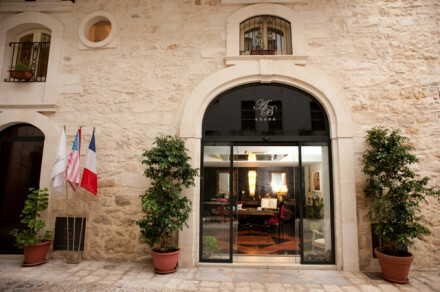 One of the Ragusa's best restaurants, boasting two Michelin stars. Coastal nature reserves of Vendicari and Fiume Irminio are close by. Resort town of Marina di Ragusa and the quieter stretches of beach between Sampieri and Marina di Modica.